Did you know that the cheetah is the largest cat in the world that purrs? Did you also know that there is a sanctuary in Zambia where you can pat and caress a cheetah, and rub your hands through its fur, while the feline purrs with a throaty rumble? As a sign of contentment the large feline will lovingly lick you with a tongue that would feel like 80 grit sandpaper. After that comes the opportunity to take your cheetah on a walk, while on a guided tour through the surrounding bush. The Mukuni Big Five Safari’s Cheetah Walk in Zambia, Africa, is one of those “off the beaten track, but well worth the visit” destinations found in the book, “You Can Keep Your Adventure, Just Leave Me the Toilet Paper”. Released just a few weeks ago, author Ben Pastore, from the blog Trip Accomplice sent me a surprise e-mail mentioning the book, and asking if I would write a review on his book, and post it here on my blog. It was certainly an honour to be asked. I have done book reports in college, where you follow a Rubric, and are graded by this Rubric for your grade. But this was different, no academic strings attached. And having never written a review of this sort, it will be uncharted territory, a new adventure for me. Before I launch off into the book, I will give Ben a bit of an introduction. 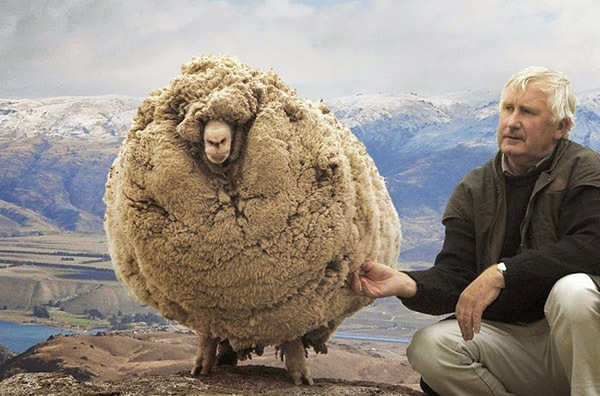 To date he has visited 62 countries on all 7 continents. Not only is he an author, he offers in person travel presentations at libraries, schools and groups. With his business, Trip Accomplice, Ben, having over 20 years of international travel experience, also offers travel advice, consultation and a full planning service with up front fees. Personally in my life I have loved to travel. But over the past few decades, as I have settled into home and family life, I have very much become an “armchair traveler.” I am the type of person this book is written for, and Ben must have been aware of that when he asked me. Described in answers.com, an armchair traveller is “someone who stays at home, but experiences travel by watching TV, DVD’s and reading books about different countries, cultures and customs. 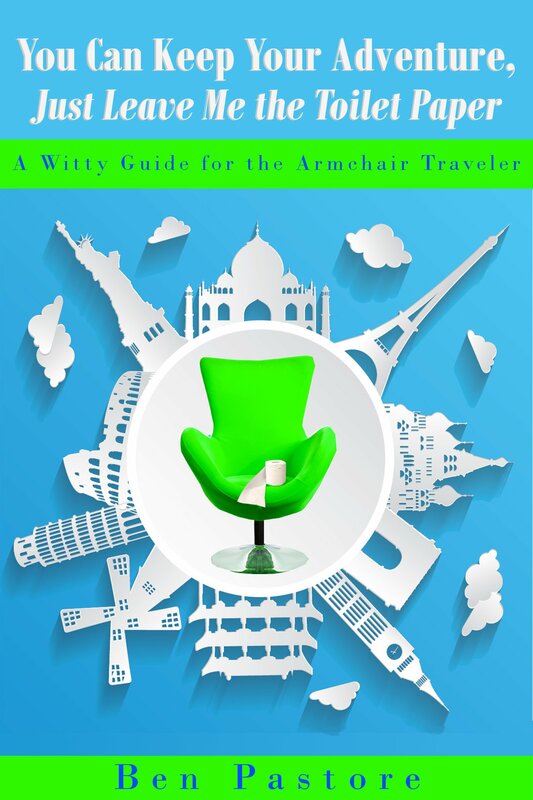 They experience the benefit of travel without leaving the armchair.” That is me. After having read a lot of travel books, what set this book apart from all the rest are 2 things. The 1st is that the book has been written in the 1st person, from 1st hand travel, and 2nd is Ben’s incredible sense of humor. I would be reading this e-book on my computer, and would constantly be sharing some humorous travel story that I read, with my wife, when she was nearby. It is not just information which would be helpful when travelling. It is experiences that were experienced. The book cover several countries on every continent in the world, so you are not going to find, say ever hotel option in a particular city you plan on visiting. What you will find are destinations that are off the beaten track, areas that might not be known as “normal destinations”. Places that the author Ben has himself experienced, and gives his recommendations based on his own travel experiences. If Ben has not personally experienced and visited a place, it will not be found in the book. He mentioned in the book, “he would not plagiarize someone else’s travel, or make things up”. In India, you can stay in a Western chain hotel, but why? You can depart from this homogamy, and stay in a refurbished former palace or mansion called a haveli, with rates far cheaper for such opulence in other countries. You find a couple of North American cities that have a very European flair. You can experience Europe, without having to travel to Europe. But, if you do go to Europe, there are some places you will not want to miss. Such as the Italian island of Ponza. You will also find details of how to get to this idyllic destination. You will learn of a travel destination that has all the best value, in terms of value and things to do. You will see how far $5 goes in another country, and what country has cave dwellings. While China becomes modernized, and is losing cultural heritage, the Outback in Australia continues to be sprawling and largely untamed. You will visit pyramids and Inca ruins, as well as rainforests and reefs. There are monasteries’ to be discovered, perched precariously on a cliff, where they use to lift the monks up in a hand winch powered basket. You can go on a safari in Africa, find the best access to Victoria Falls, or relax on an island paradise in the Pacific. You will also find Ben’s absolute #1 pick for the most beautiful place on our planet. A place that my wife and I visited, when we were free spirited travelling newlyweds. There are so much to see and do in this book, enough to satisfy the adventurers, the romantics, the upscale and eco travellers and everyone in between. And at the bottom point of South America is Ushuaia, Argentina, the exit point for the Antarctica. As a runner, I have learned in my armchair travels that there is a marathon that takes place at Antarctica. Yes, that’s right, a marathon. Seeing it explicitly detailed how to get there, I got excited. Yes, I can do this. Well maybe not the Antarctica, because of the cost, but there IS such an amazing world out there. It is changing fast, both culturally and physically in terms of our forests and oceans. In a generation or two, some things will be lost forever. Links for where you can purchase this book can be found here. As far the book, the name itself was catchy. And the way you presented it makes one feel like it really will be a trip around the world through the pages. I saw your comment this morning on my home computer Prajakta, then I had to rush off to work. Thank you for taking the time to read and share. It was indeed a trip around the world. A section for each of the different continents. India sounded so incredible, and to quote, “having your senses assaulted with stimulus overload.” He talked about the vivid architecture, honking horns, markets, forts, Indian cuisine, palaces and bazaars and so much more. We also have marathons 🙂 Do come here Carl! I would personally love to show you around…And I am not just being nice – I am genuinely inviting you to this colorful pathos! And the book seems to have captured it really well. Must give it a spin! I did look up the marathons in India, and there are some REALLY neat ones. A desert run, one in the Himalayas, major ones like the Mumbai, which is the largest in India. Some start at 5:00am, which I am imagining is to beat the heat. Then you must come!!! 😀 Waiting…. This book sounds exciting! My Dad blocks his ears when my brother or I call him with tales of our travels we think he’d like to hear. We do it partly to wind him up, partly because we know he’d loved to have seen it, been there so share it with him. Maybe I should get this for his birthday this year. My name will be mud! Thank you for sharing Natalie. As a father, I can understand where your dad might be coming from. My oldest daughter is talking about travelling next year, and I know she will. Would love to tag along, but I know this is her journey, her destinations, her experiences. Thank you for the tip Carl!! This book sounds wonderful. A must read. Your description is enticing! You are very welcome Lucile, and thank you for reading the review! Have a nice weekend, my friend Carl! I’m hooked! I’m mid-point between a “traveler” and an “armchair traveler”. I travel (selectively), but I hate flying. So if the destination involves more than a direct flight, or a flight that is longer than a work day, I choose the chair. So, as much as an antarctic marathon would certainly be on my bucket list, I know I’ll probably never get there. However, this is why we have our books and shows! As always Fleck, so wonderful to have you drop by. Thank you for reading and commenting. And hope your injury is healing well! WOW, cool, thank you for the “A” Diana. Sure beats the marks I got in college, with those book reviews following a Rubric…..LOL. This book sounds like a good read. I prefer armchair travelling. I’d like to travel more, but I really dislike being on a plane for more than 4 hours. I also dislike leaving my dog behind for more than 4 days so that pretty much limits my travel options to somewhat close race destinations and quick family visits. Another reason why I enjoy reading blogs! I get to “go out” without having to leave home too often. Thank you Angie for taking the time to read and comment. You and Kobi do seem pretty much inseparable, and can picture how hard travelling away for any length of time must be. I do follow some pretty cool travel bloggers myself, which I greatly enjoy reading. Hurray for your first book review!!! You sold me. I definitely want to read this! Thank you so much April. Your positivity, support, and encouraging comments always brightens my day. It was a lot of fun to do the review, and I learned of a lot of cool places in the world at the same time. Ice Marathon, wow. Another level of endurance. Hi Adam, yeah I imagine it would be pretty intense (and cold….LOL). Thank you so much Indah. You are such a free spirited adventure traveller/diver and I admire for your travels and writings so much. There are a lot of destinations I had no idea existed, plus some places nearly everyone would have heard of such as the Taj Mahal. Not too much on diving, talks some on the Great Barrier Reef, overall I think you would really enjoy the book Indah. Thanks Manny, had it all figured out. But thank you so much for the “like”….LOL. It was a wonderful read Sue. Nothing in the book mentioned about the Ice Marathon itself, but does talk about the penguins, literally thousands of them, standing, swimming, marching. I just have a point and shoot camera, and I don’t know much about the DSLR’s, but Ben recommends a camera with a zoom preferably in the 200-400mm range. Sometimes those cruise ships just can’t get as close as you would want, and a zoom would “transform that iceberg with little black dots into the showcase of your album”, as it was put. I have read just a little about Ernest Shackleton, but am fairly familiar with him and his journey. Saw a motivational speaker a couple of years ago who has really researched everything. He talked about the ad to recruit his crew, and of course the journey with the hardships encountered.